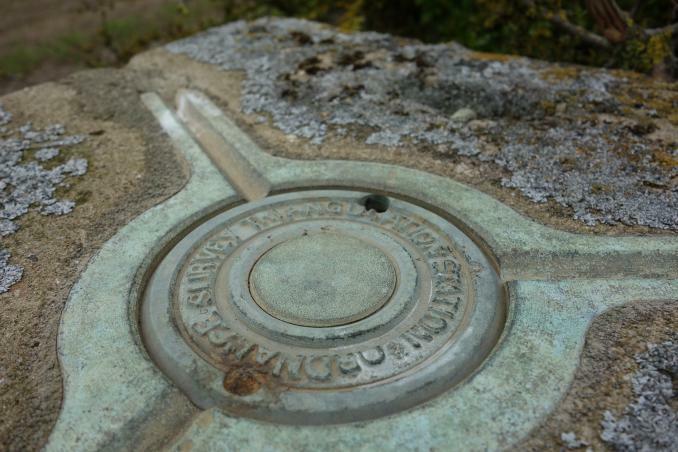 Is ranked joint 6023rd with 51 other trigs (more). 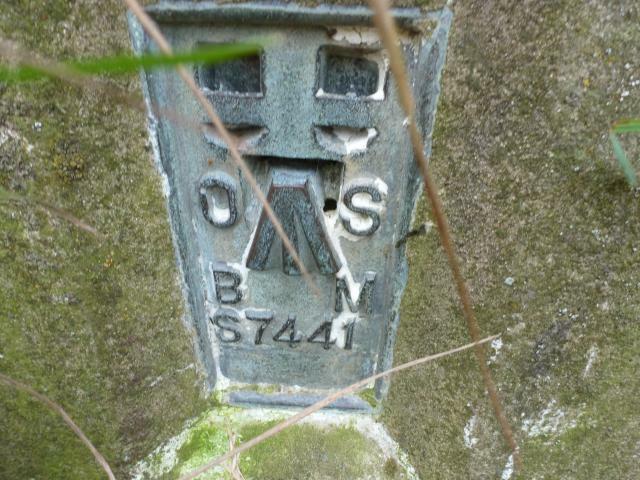 Good condition, raised letters original OS plug edge of field SW of original position. 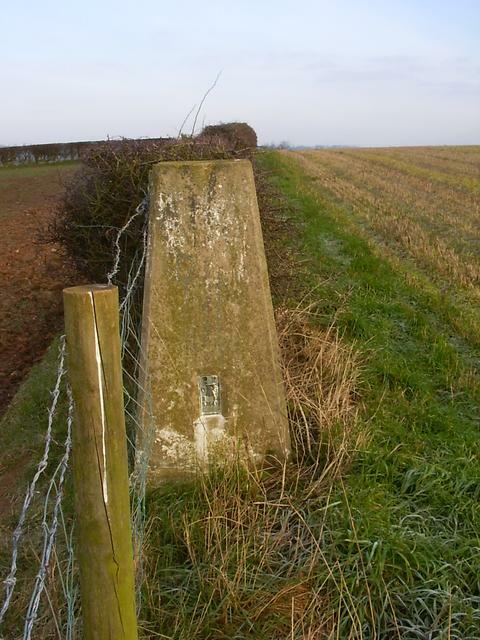 nipped up from C2C route, one fence crossing to follow field boundaries. Parked at rail crossing. Blowing a gale. Verge parking at Long Lane level crossing. 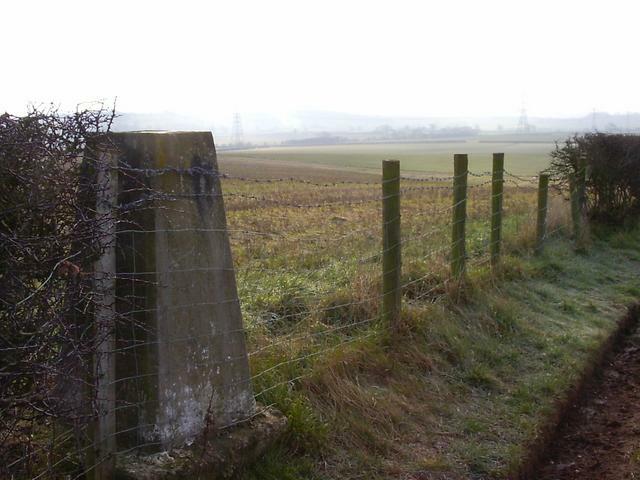 Road walk to Low Moor Lane, from which I followed field boundaries to Trig. Spacious 270deg views. Parked at start of farm track. Up past a couple of fields then up to right hand side through tractor tracks. Nice views. 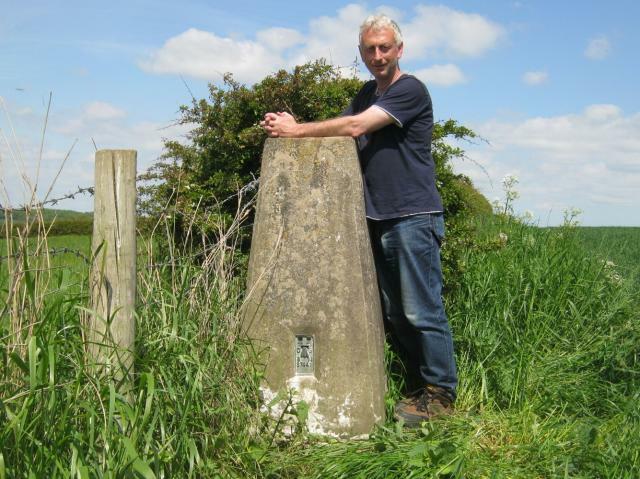 Parked at Low Moor Farm and asked at farm to access trig, no problems headed north from farm across stubble to gap in hedge then east side of hedge line to trig point. C2C#19: brief diversion from C2C path to north, dodging the farmer going up and down the field in his tractor. 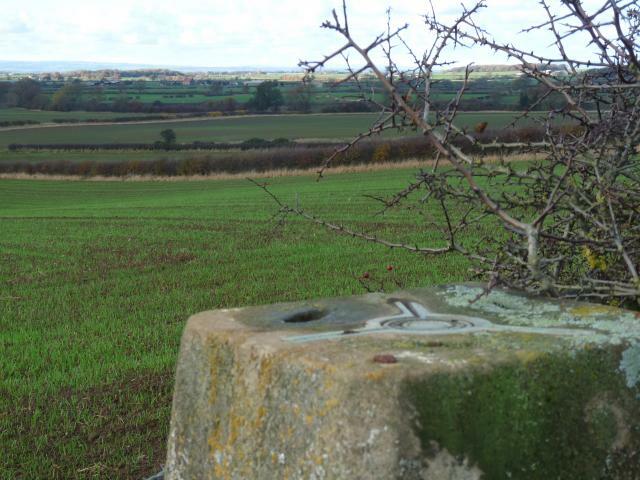 Has been carefully moved, and still has good views of the surrounding arable, very flat landscape. 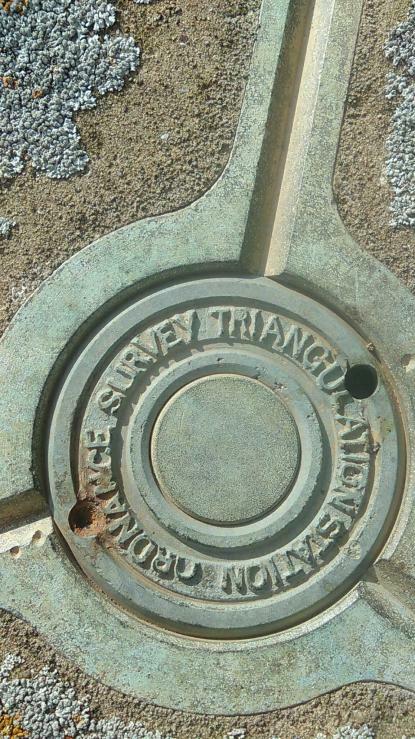 Metal cap, raised letters, N s/hole open, vgc. 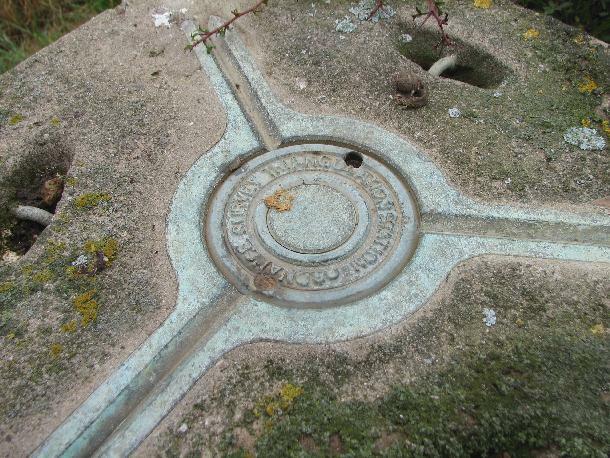 HISTORY: Pillar completed around June 1953, date and cost details not on record. 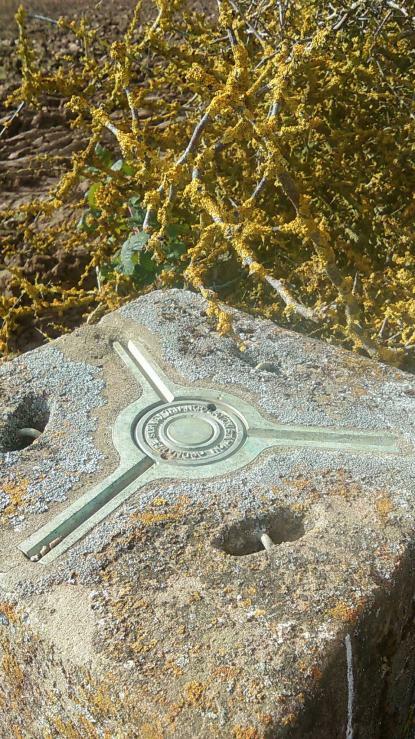 Computed as tertiary triangulation station SE38/T30 in 1955. 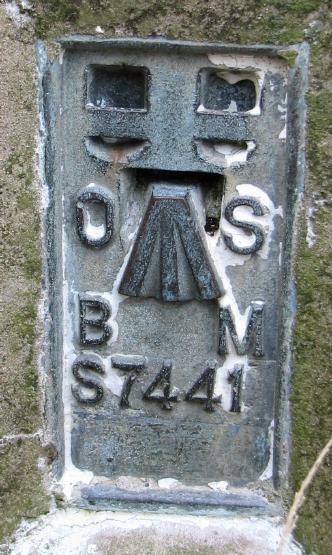 Levelled for height in 1959. 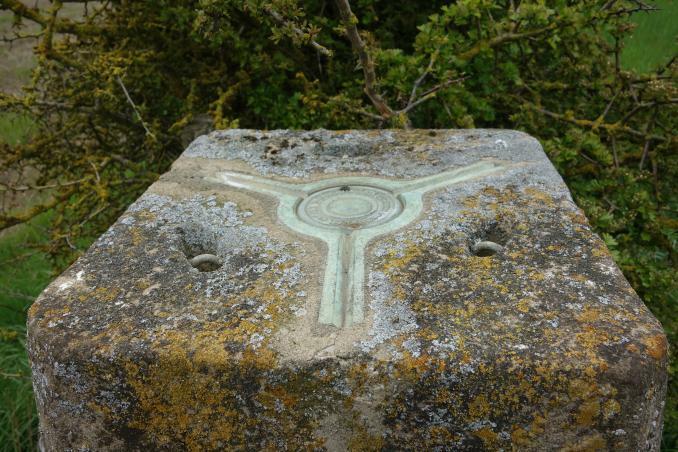 Last maintained by the OS in April 1975. SITE VISIT: Overall approach from southwest. Parked by east side of farmtrack at SE394988 opposite cottages with kind permission of householders. 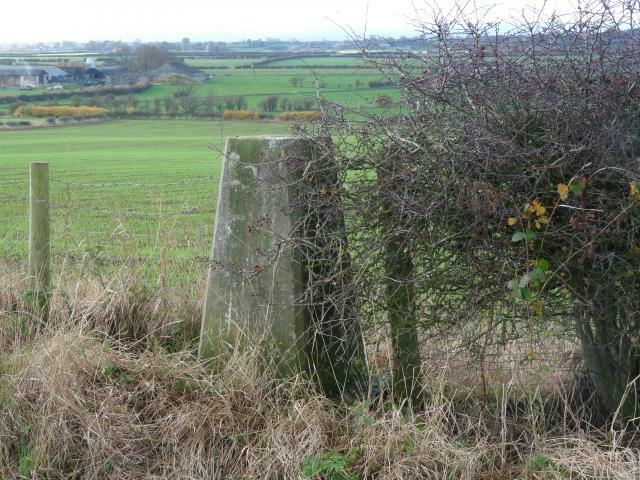 Along Low Moor Lane to NW corner of trig field then south via western edge to where it now stands. 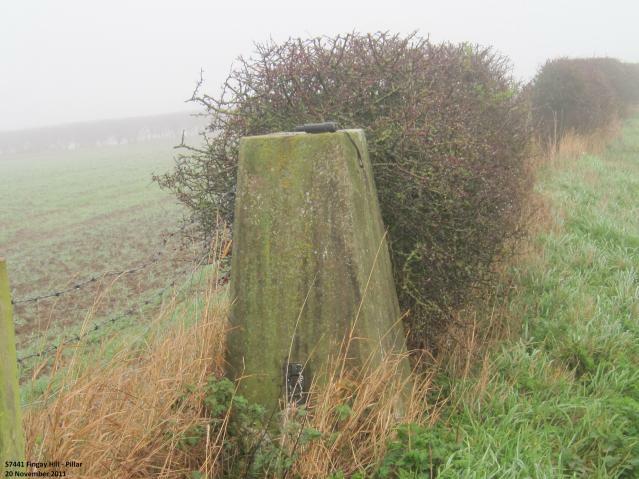 Pillar neatly relocated from centre of arable field to western edge, still in good condition. 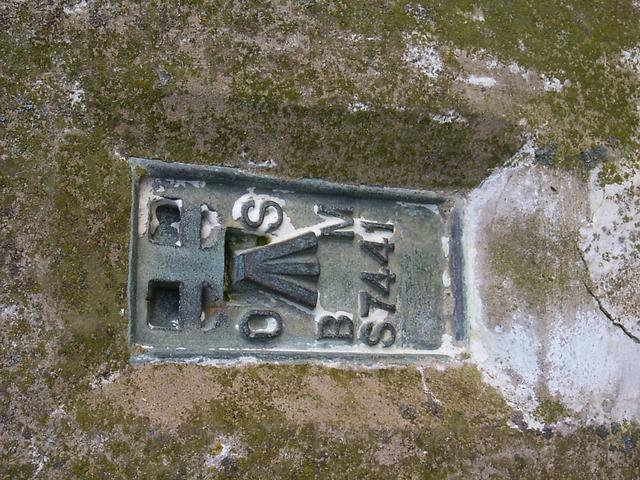 Spider retains replacement OS centre cap with raised medium sized letters. 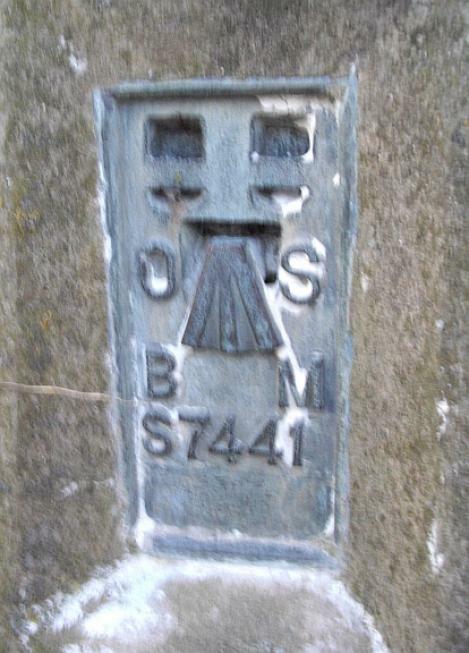 Flush bracket faces south, ~176�. Vented through north sight hole. 247� panoramic view from ENE through south to NW. 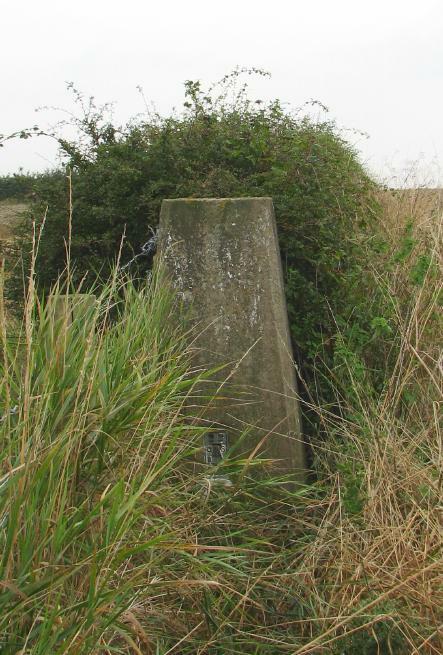 Walk up field edge, trig well hidden in hedge. 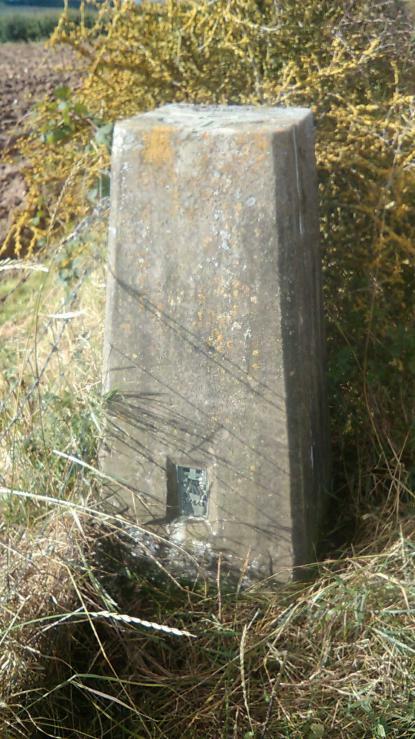 The trig is at the location given in this database (SE39972 99202), but is clearly in a different place than marked on the map. 2008 edition. Parked at same place as previous logs and walked in on the farm road. 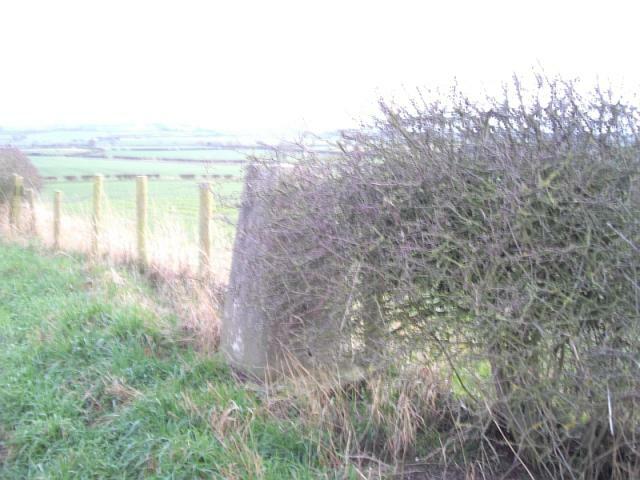 Up through a gap in the hedge and found in field boundary hedging. A decent verge to walk up and keep off the crop. 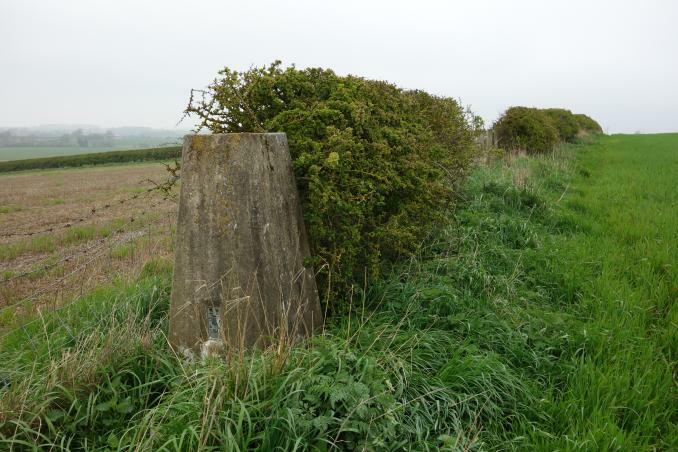 Parked on verge near railway crossing then walked up Low Moor Lane then along field boundary to top of hill, pillar in hedge to the south. Joint visit with Carole. We parked at the southern end of Low Moor Lane and walked north along it before going through a very convenient opening to follow a hedge line east. 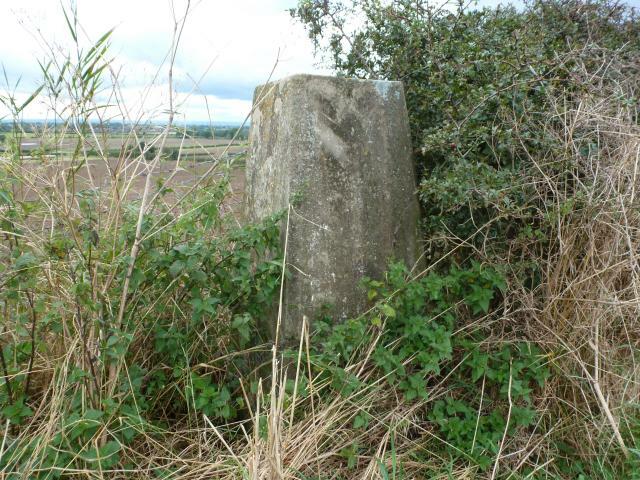 Knowing that the pillar has been moved helped us find it at its new location. Looks as though this is where should be anyway. Apart from its move it is in excellent condition and retains an original plug. Set very firmly in an area of arable farming. 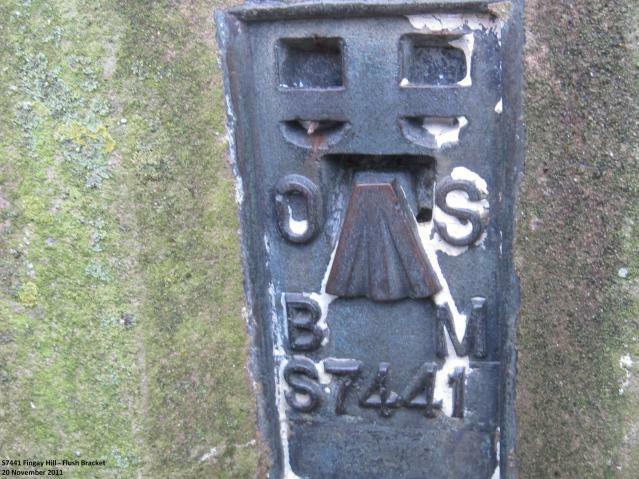 S7441 Fingay Hill Flush Bracket. moved into western hedge line,undamaged and upright. Yorkshire. Wide views on a bright winters day. 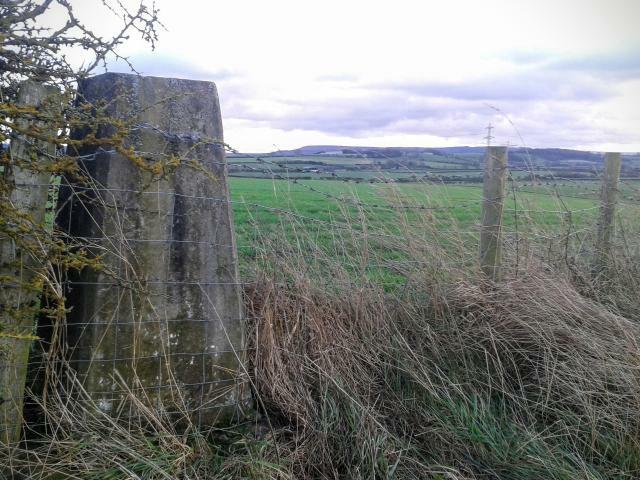 The pillar is now on the western edge of the field. 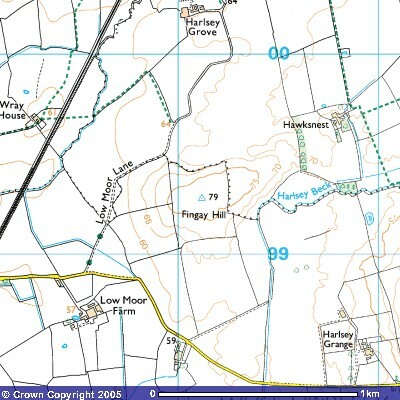 The Ordnance Survey say that the move took place in August 1996. 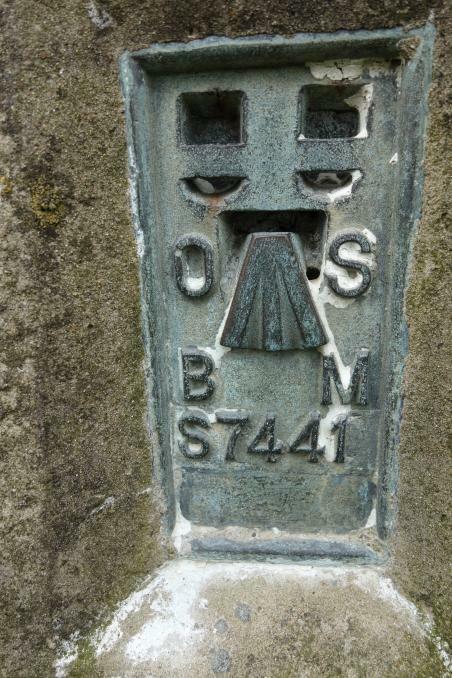 Plug with raised lettering. Cold but sunny day. 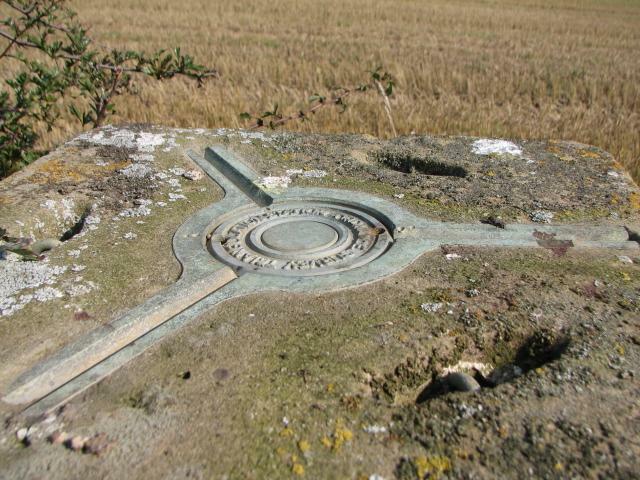 Trig has been moved to the edge of the field but is easy to find on the hedge line. Nearby surrounding views are fairly flat, but the distant views of the North Yorkshire Moors and Cleveland Hills are lovely. SE 39972 99202 is current location, condition appears otherwise good. 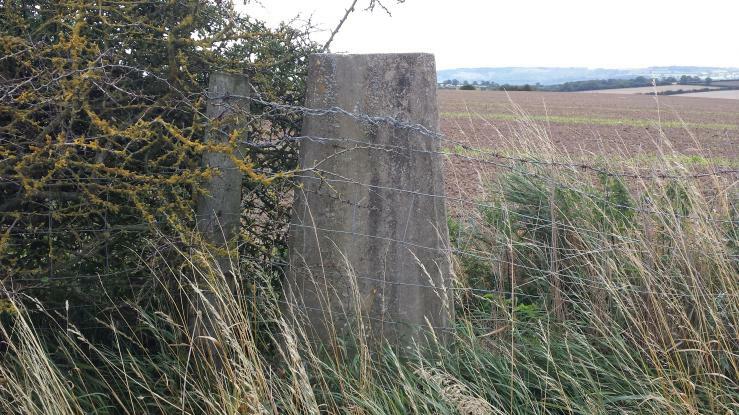 2nd time lucky: W edge of arable field, SW of summit, just S of fence junction - SW of mapped location. 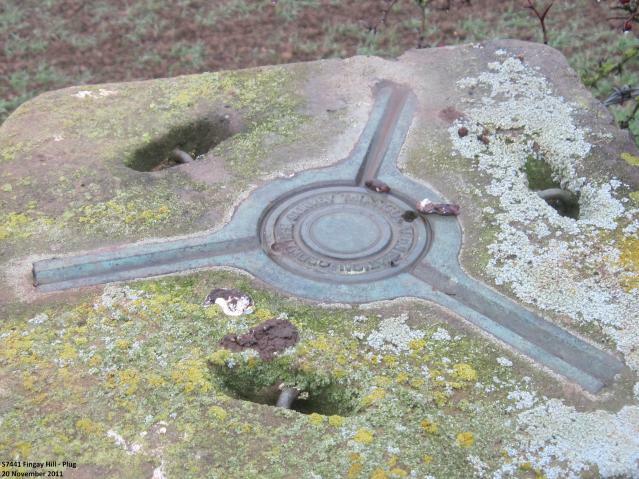 If relocated, has been done carefully - recessed into ground and upright. 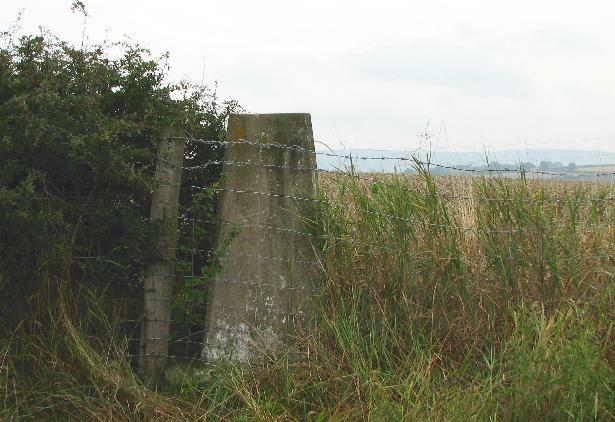 In hedge/fence, SW from centre of summit field. 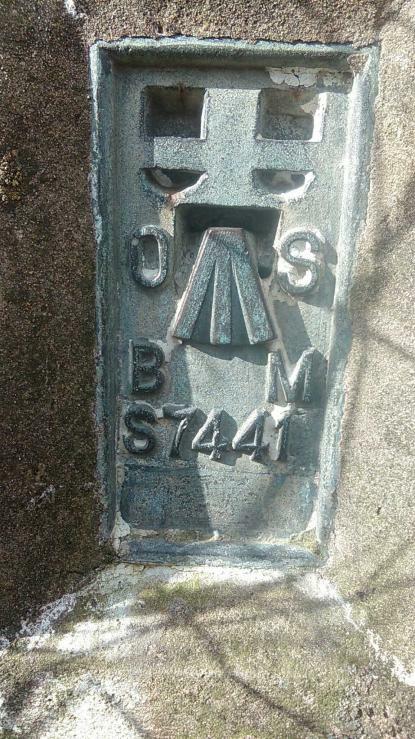 Suspect its been moved by the farmer from the original location but possibly a mapping error. Plug intact. Access from W via edge of corn field. Dull morning, ordinary views. Something not quite right here. 25k map shows it in middle of field, photos show it in hedge (looks to me like W side of summit field - hedge E side has taller posts). 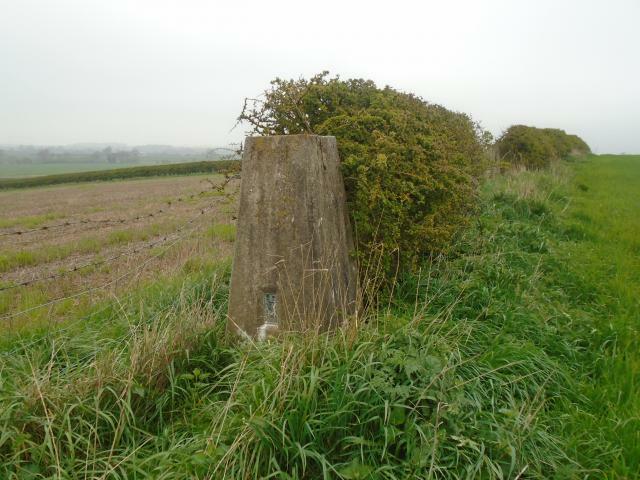 Not found in field (arable, no crop) or hedges, dumped or upright (but may have missed it - was expecting it to be as mapped, didn't see pics till afterwards). Wide unexciting view. N 54.23.209 w 001.23.167 Sunny winter's day.